In the afternoon about when we were coming out of school we would count them coming back and of course, some didn’t come back. 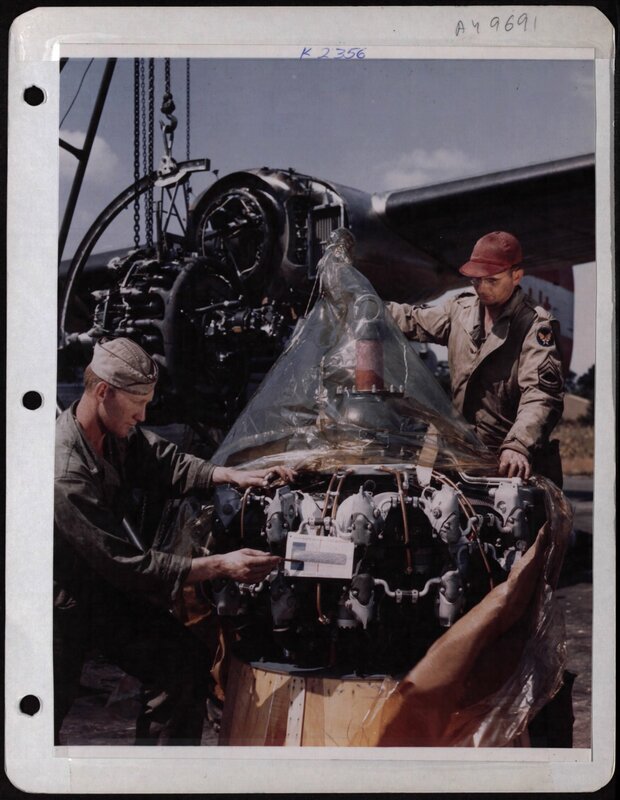 For every man that the 8th USAAF put in a plane, it took almost 4 more to keep him in the air. 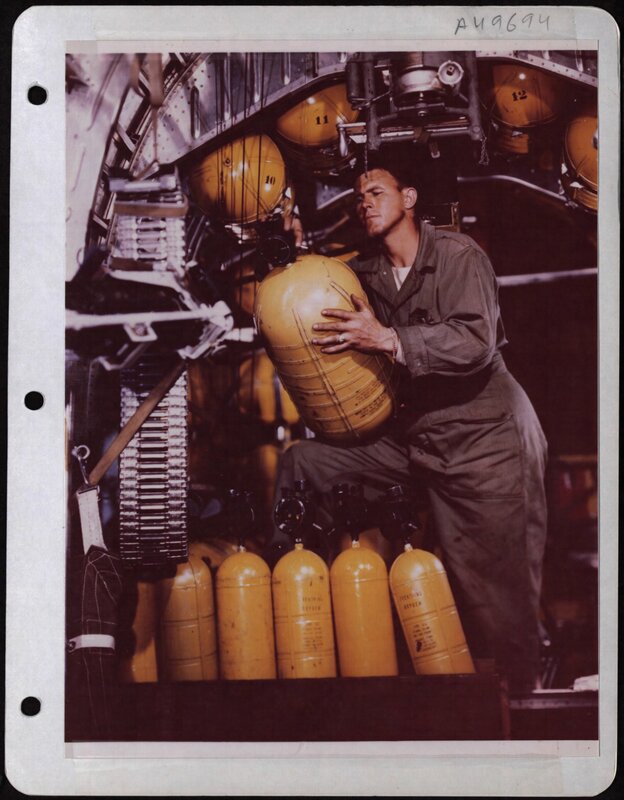 This meant that the majority of people involved with the operations of the air war against Germany never left the ground. 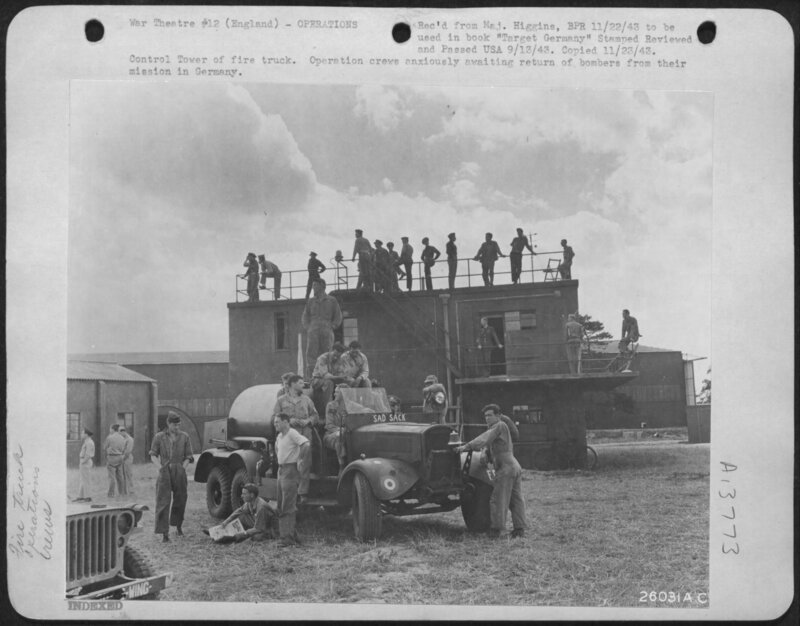 Men served as mechanics, weather forecasters, quartermasters, doctors, cooks, metal workers, armorers, and in many other positions in dozens of occupations. 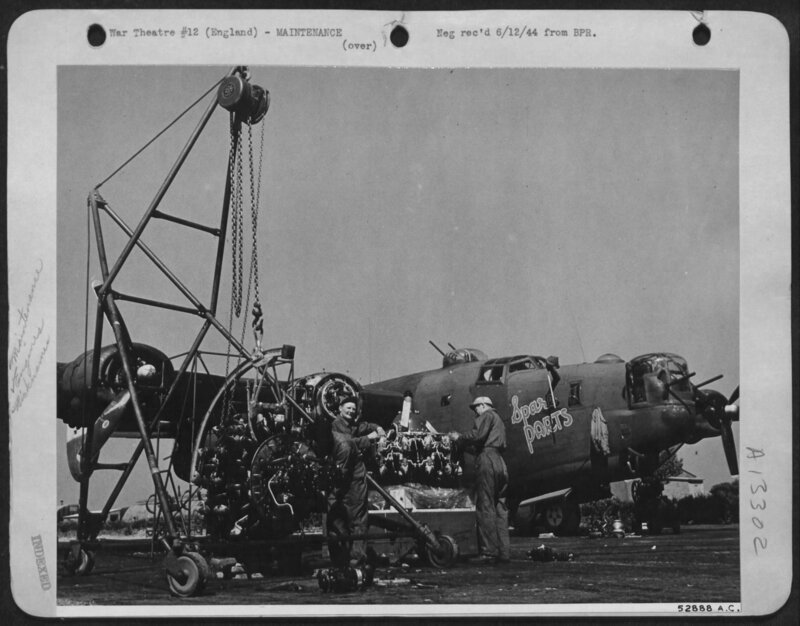 It is due to their ingenuity and sacrifice that the aircrews and their planes were able to keep flying to victory. 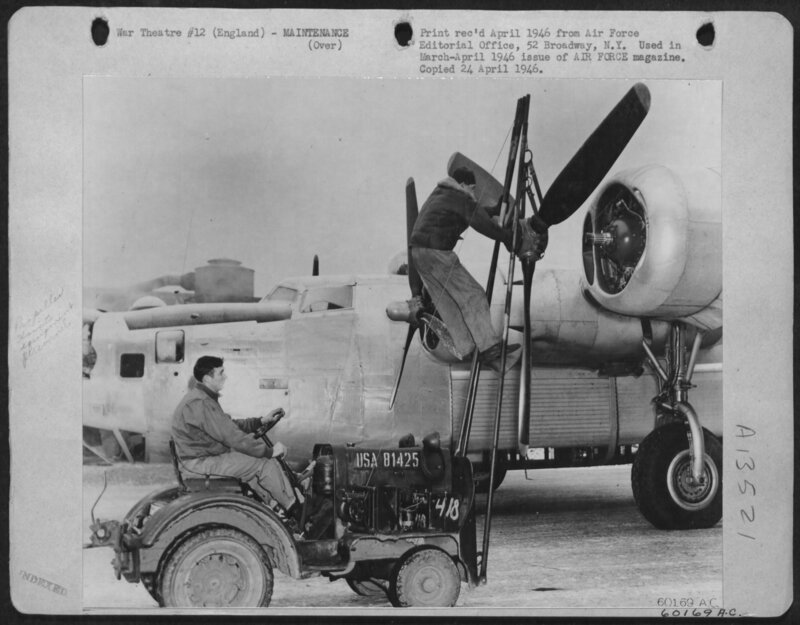 For the men of these ground crews, every mission was just as personal as the men in the bombers and fighters. They worked tirelessly through the night, battling the elements of cold, wind and rain to repair the battle damage sustained on the previous mission. 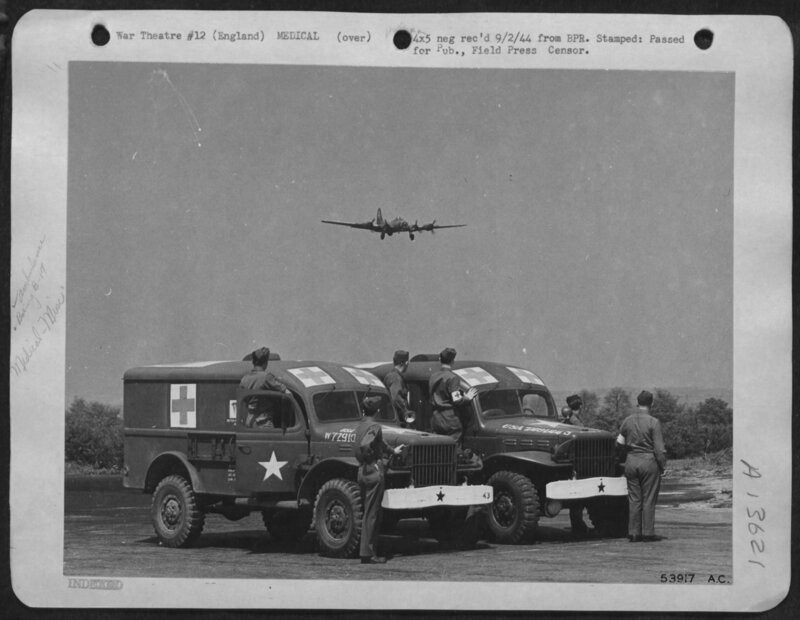 They made sure that every available plane was ready for the next mission, and it was with great trust that they handed over their planes to the aircrews who flew them. 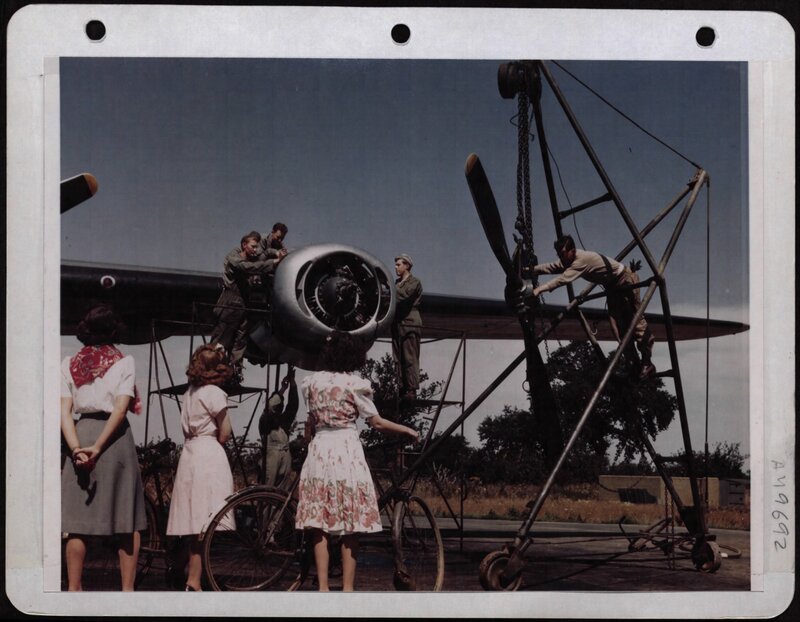 Once all of the planes had taken off on their mission, the men on base would begin to ‘sweat it out.’ They used those moments to finally grab a few hours of restless sleep, play cards, shoot pool or grab a bite to eat. When they heard the droning of big engines of the bombers returning, everyone would head to the landing field to count the returning planes. They prayed that their planes, their crews and their friends would return safely, but knew that there was a very good chance they could come back nearly destroyed, if they came back at all. With the planes back, the work began again. They could be sure that they would spend the next several hours getting those planes ready to be back in the air by dawn. The mission depended on them, the war effort depended on them and their friends depended on them.